The ZG4 extension test interface for the Alpha-A modular measurement system features high quality general purpose dielectric, conductivity, impedance 2, 3 and 4 electrode spectroscopy and gain phase measurements. 3 or 4 electrode techniques can be advantageously used in order to partly compensate electrode - sample interface polarization or contact impedance effects. ZG4 has the same functionality as the ZG2 interface but two additional differential voltage measurement channels for 3 and 4 electrode measurements. 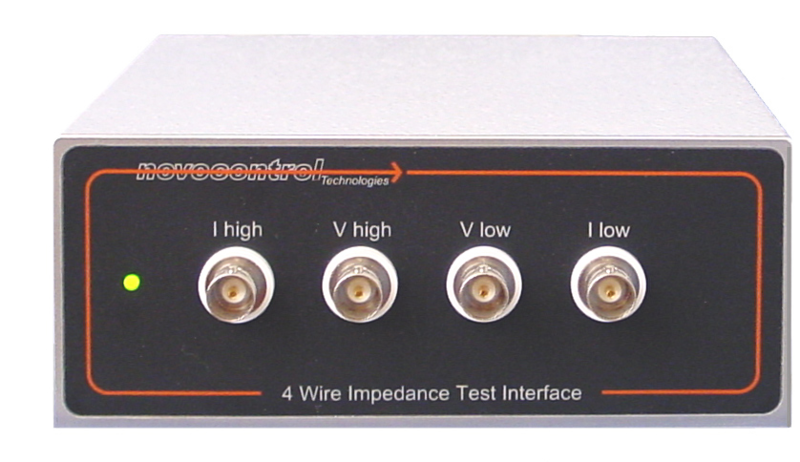 The voltage channel input impedance is 1012 Ω | 10 pF which exceeds the range of most competing instruments by several orders of magnitude and therefore can be seen as a major improvement in broadband 3 and 4 electrode measurements. In order to reduce the capacity of the cables from the ZG4 voltage inputs to the voltage electrodes, the two voltage inputs support driven shield technology which keeps the potential of the outer coaxial cable shield at nearly the same potential as the sensitive inner cable conductor. ZG4 can be used with own sample cells for material measurements. It does not include a sample cell like the ZGS interface. For two electrode configurations, the BDS 1200 passive sample cell is recommended. 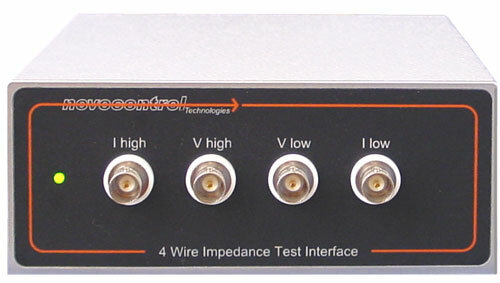 The external interface design allows to locate ZG4 close to the sample in order to minimize cable effects. Cables in the sample impedance path may limit the usable high frequency range due to inductance and contribute low frequency noise for high impedance samples.